hd00:21Calm moving water in front of some icebergs. This is the ice-fjord by Ilulissat, Greenland. 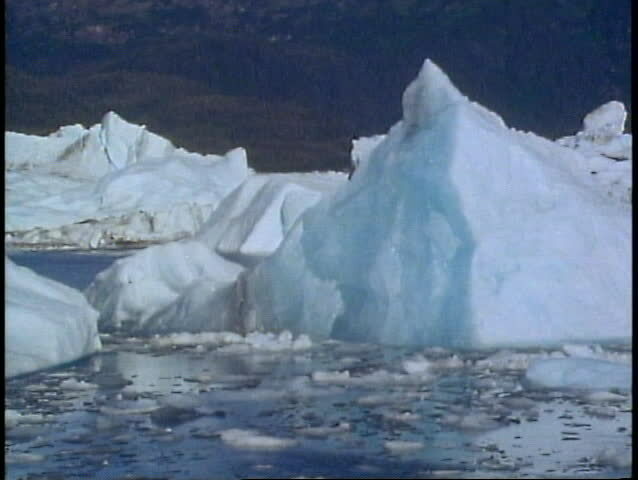 hd00:29Amazing view of large pieces of the iceberg. Location Atlantic ocean, Vatnajokull national park, Europe. Unique place on earth. Discover the beauty of earth. Shooting in full HD 1080p video. hd00:08Amazing view of large pieces of the iceberg. Location Atlantic ocean, Vatnajokull national park, Europe. Beautiful nature landscape. Discover the beauty of earth. Shooting in full HD 1080p video. hd00:10Row of large icebergs in the Arctic ocean.